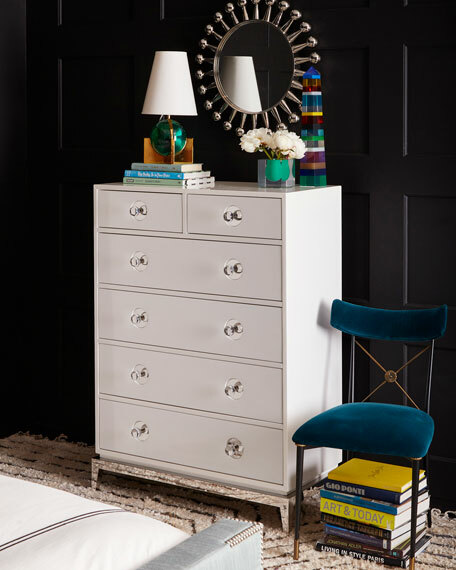 Neo-Classical lines, a dash of Hollywood glamour, and a top note of Mod moxie: that's our Channing Collection. 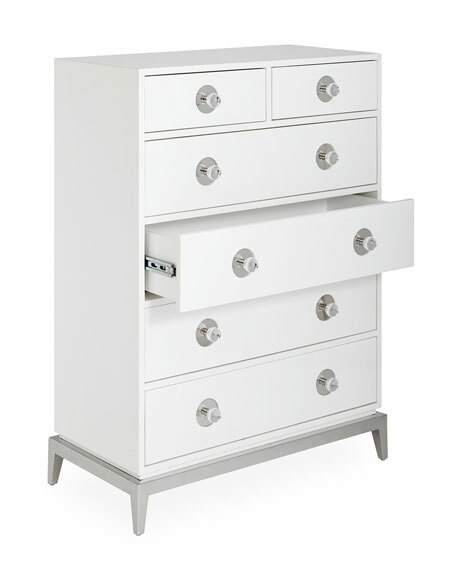 Our Six-Drawer Tall Chest is finished in glossy lacquer and features polished nickel accents with oversized acrylic knobs. 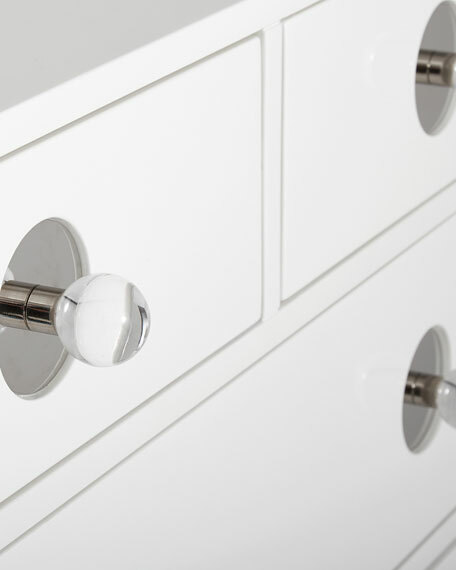 Stash your stuff like a starlet. 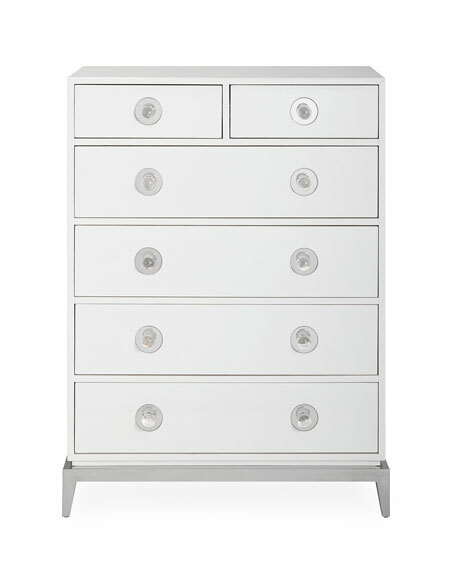 White lacquer chest with polished nickel accents and acrylic knobs. 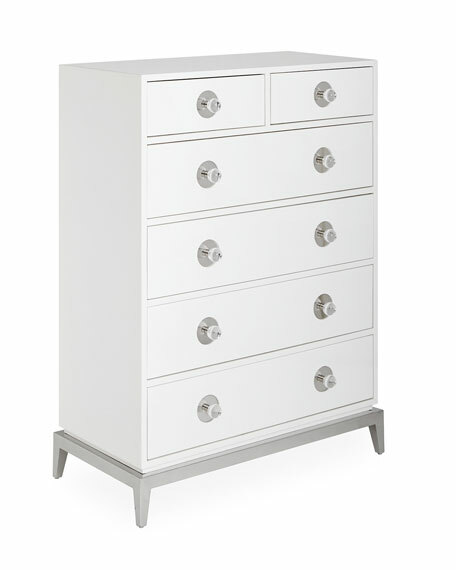 17"W x 36"D x 48.5"T.
Boxed weight, approximately 203 lbs.